My SSD with Windows 7 recently crashed, so I'm going to purchase a new SSD and install Windows 7 to replace it. I'll also have to reinstall all the drivers for my hardware (motherboard, graphics card, etc.). This time around, I was thinking of purchasing two SSDs and setting them up in RAID 1 mode. I had heard about RAID from some classes I took in college, the main idea being that if one drive crashes, the other can still function, and I won't lose data. Then, I can just replace the broken drive with a new one and the computer will pick up where I left off after copying all the files over to the new drive. This way, I won't have to reinstall the operating system or drivers if one of my SSDs crashes. When I was researching more about RAID, I came across another technology called AHCI. I found several sites comparing the two but I'm still not clear what AHCI is. 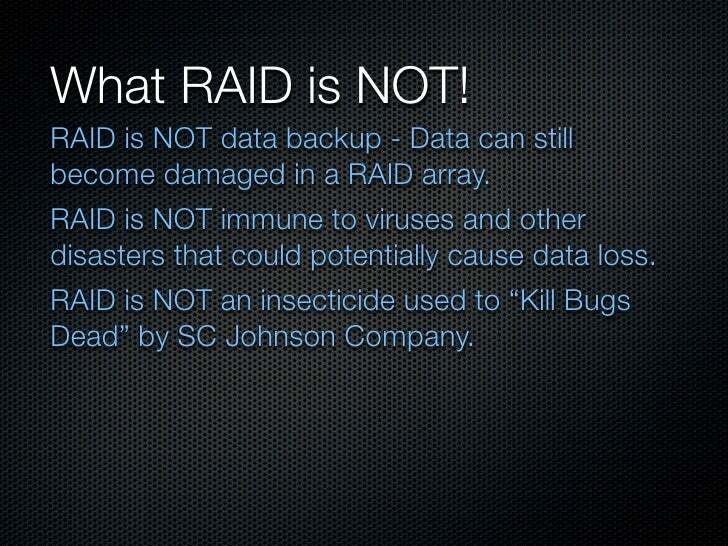 Is it a newer version of RAID? Can it be set up in a mode analogous to RAID 1 so that the SSDs are mirrored? I also have an HDD in my computer (for data, in addition to the SSD that crashed) and was wondering if this would complicate setting up RAID / ACHI for the SSD. Is it also possible to set up RAID / AHCI for the HDD in conjunction with RAID / AHCI for the SSD? I have an Intel P6T motherboard. AHCI is not a newer version of RAID - AHCI if anything is an alternate to the legacy IDE. AHCI will not offer you any protection, unless you use software based RAID like Windows Server operating systems offer, or Linux/OSX alternatives. Yes, using software - but not natively. Not recommended. Yes and no depending on your hardware. If you configure the SATA controllers to operate in RAID mode, you can have some drives part of an array, and the other drives set to "JBOD" which means they operate as legacy drives would operate. If you have multiple drives of the same type, yes. 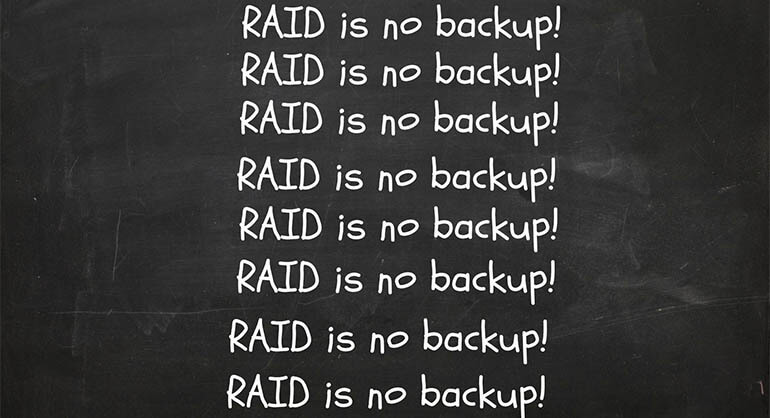 One thing that I want to say though, is that RAID is NOT back-up. 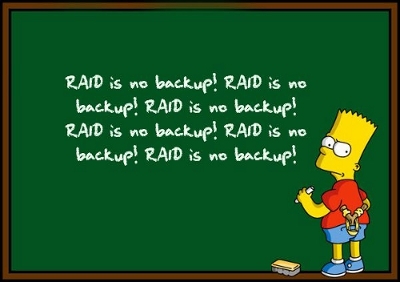 Regardless of whether or not you have RAID 1, 5, 6 - you should never consider RAID as a backup solution. What hapens if a trojan corrupts all your files? RAID would mirror the corruption, and you'll be in trouble. Always have a proper backup, which is an offline copy of your data. Not the answer you're looking for? Browse other questions tagged windows-7 hard-drive ssd raid or ask your own question. Add Intel RAID Drivers to existing Windows 7 install BEFORE enabling RAID in BIOS? Switching BIOS SATA RAID/AHCI setting causes BSOD at Windows Start - Why? Do SSDs have to have AHCI to maximize performance? Change SATA mode to AHCI before reinstalling Windows on new drive - possible lose of data on non raid drive?